Do you wish to rise? Begin by descending. You plan a tower that will pierce the clouds? Lay first the foundation of humility. (Saint Augustine) Yes, Shaun Martin has a natural gift that has been evident since he began playing drums in church at the age of 4. Yes, his mother had the vision to arrange piano instruction from Carolyn Campbell and guide him on his path. 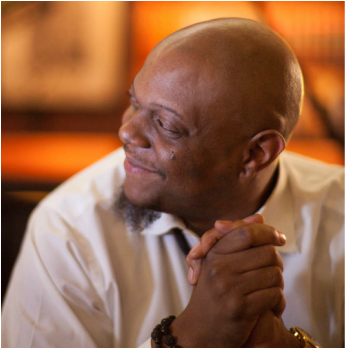 Yes, he has several Grammys from his work with Kirk Franklin and the gospel powerhouse God’s Property and Yes, he has a Grammy that crowns his many years with jazz fusion phenomenon Snarky Puppy. But you will not find this information in discussion with this gently powerful man because he wears none of this on his sleeve. Shaun Martin has been playing, creating, and collaborating for most of his life, yet his contributions go much further than just playing. When you move through the projects that Shaun has been a part of you can feel his style and influence; you can sense his presence throughout the compositions. Shaun’s willingness and ability to be a subtle part of each band has allowed him to be part of the very foundation. ​Seven years ago Shaun began a project of his own. A story of his life, a contribution to the world of music from his eyes (and ears). In demand by many, Shaun took his time with the album as the story expanded to include a wider range of experience. And so, on July 7th 2015, Mr. Martin presented to the world SEVEN SUMMERS - a big chapter in the history of the great Shaun Martin. Seven Years. Seven Summers.